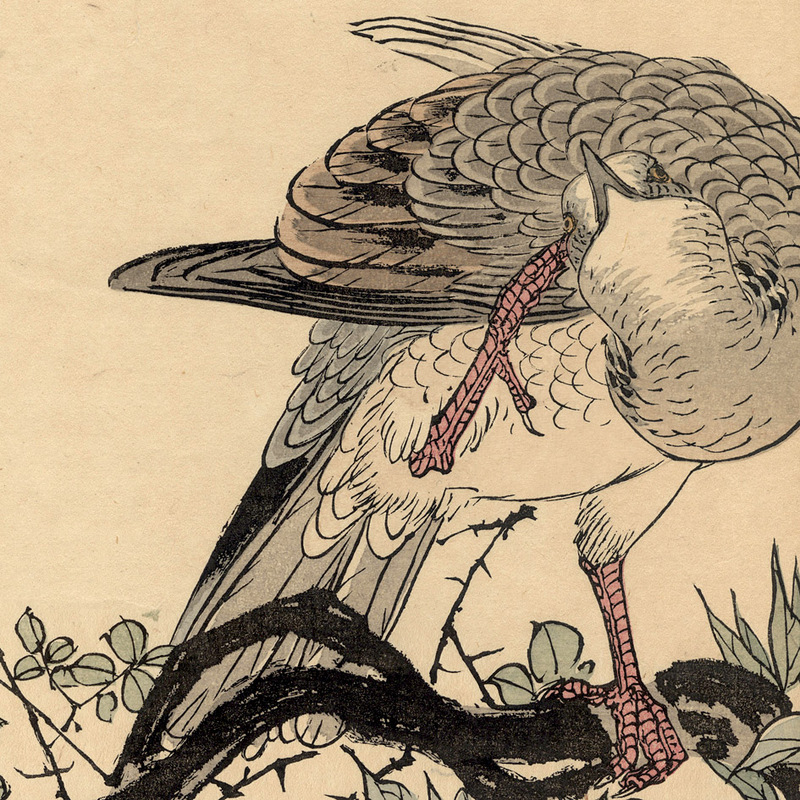 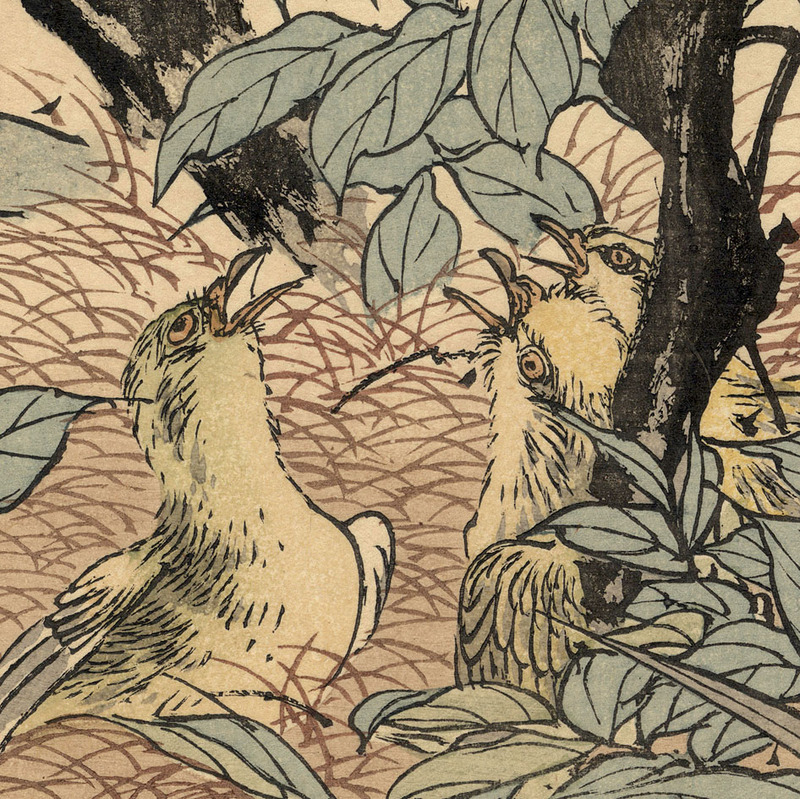 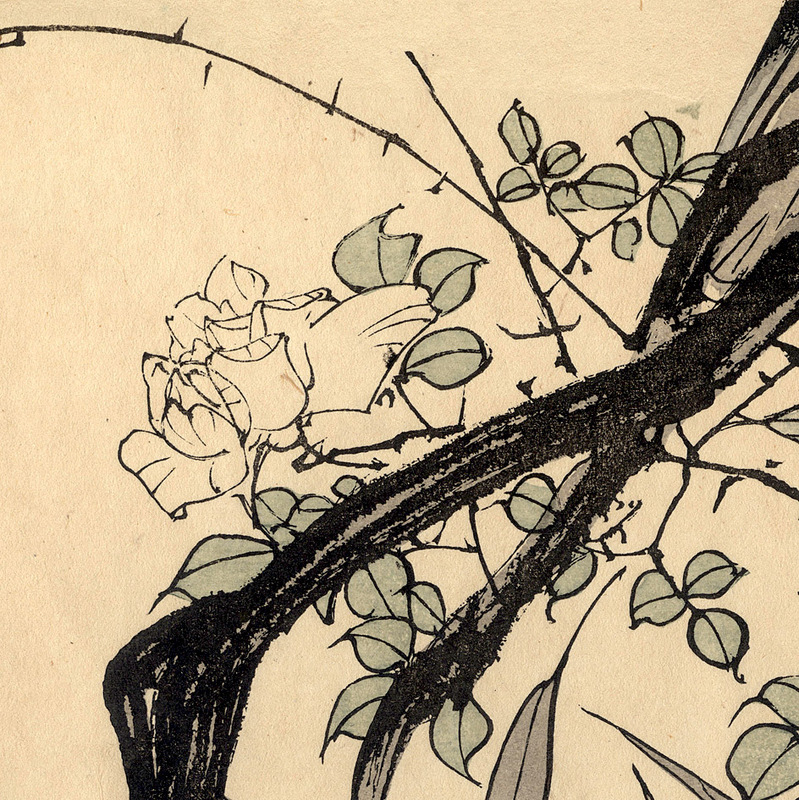 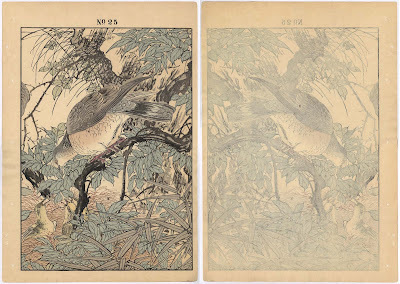 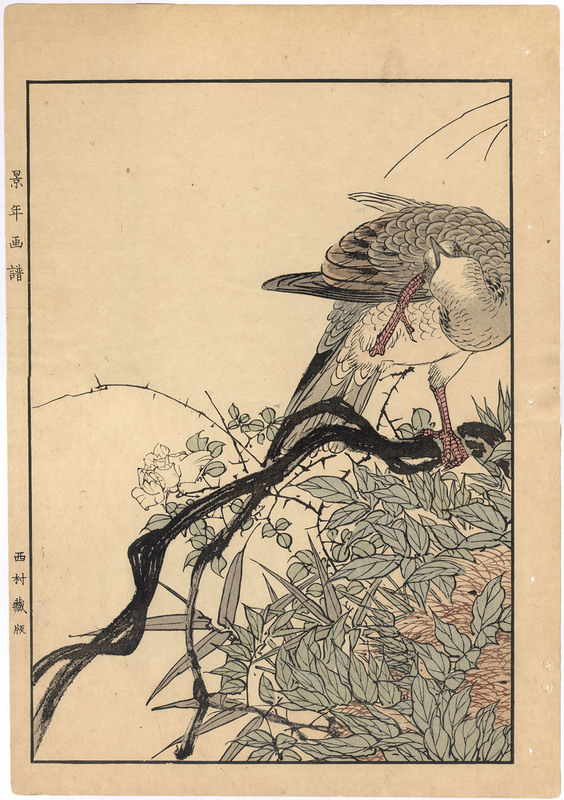 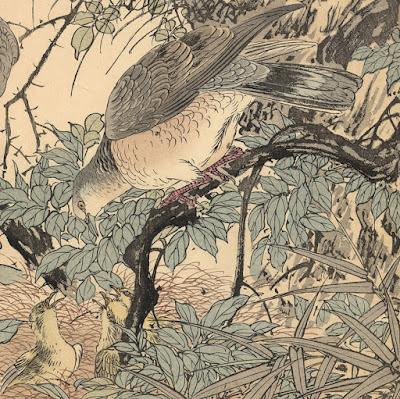 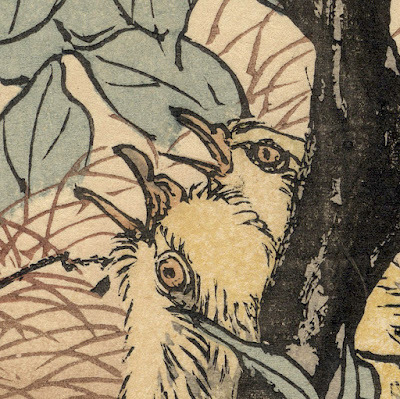 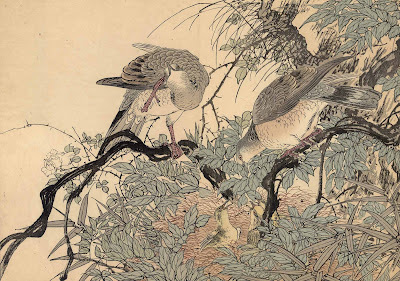 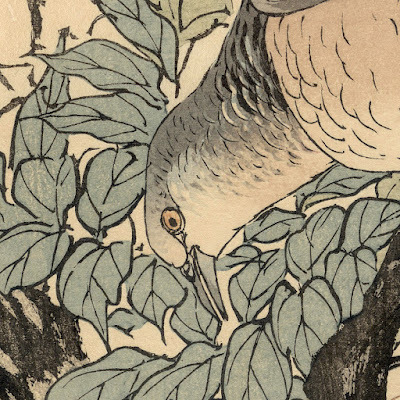 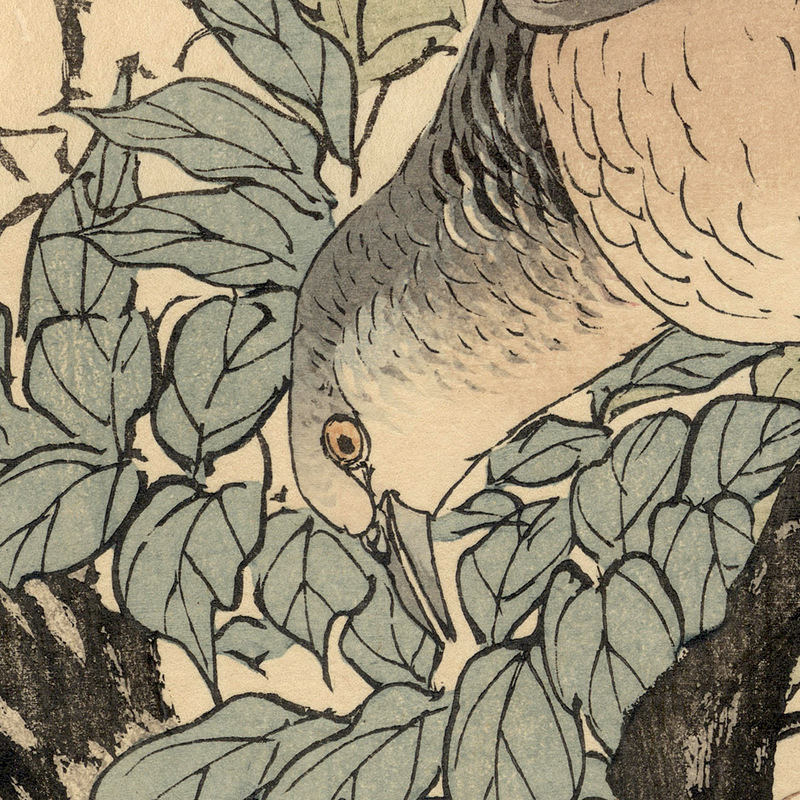 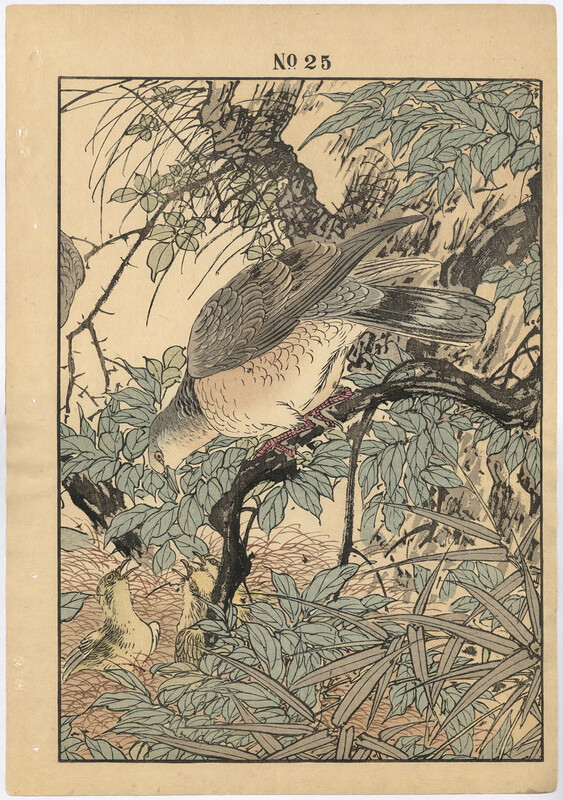 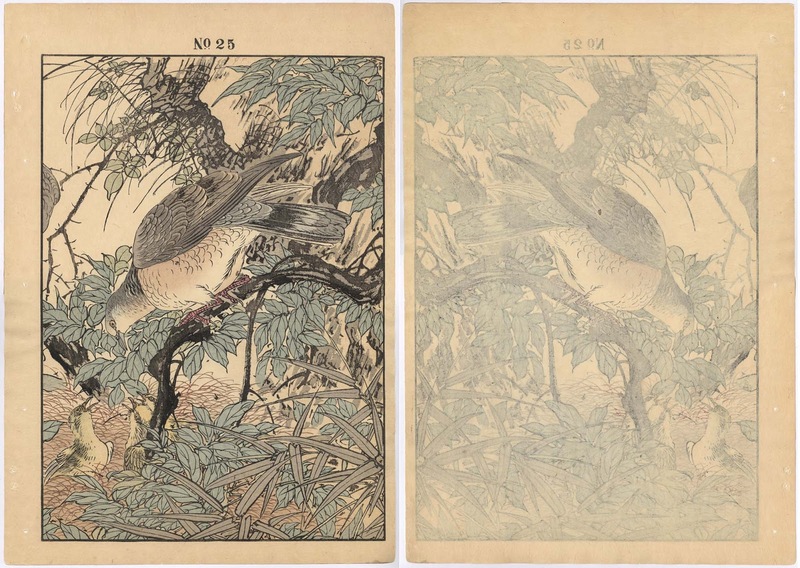 Oban diptych, “Taiwan Rosa, Oriental Turtle Dove”, 1891, published by Nishimura Soemon in “The Summer Album” in the four-volumes of colour woodblock printed books with forty prints in each volume, “Flowers and birds of four seasons”, each plate cut by Tanaka Hirokichi and printed by Miki Jinzaburo. 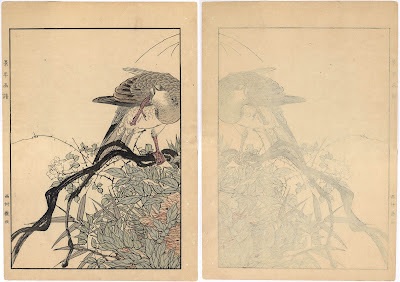 Colour woodblock prints (two panels) on washi paper with margins and stab-binding holes as published. 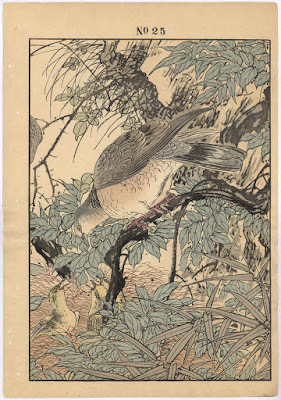 Condition: crisp and well-printed impressions—the highest quality—in near perfect condition (there is a faint stain at the top of the left panel) and with binding holes as published. I am selling this pair of large original woodblock prints for the total cost of AU$229 (currently US$172.01/EUR146.55/GBP127.79 at the time of this listing) including postage and handling to anywhere in the world. 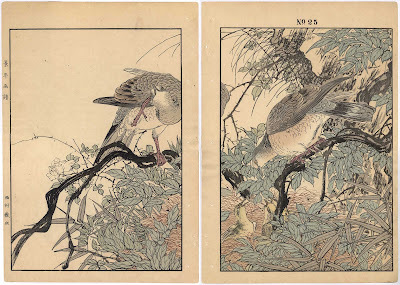 If you are interested in purchasing these exquisite and genuine colour woodblock prints by one of the great masters of Japanese printmaking, please contact me (oz_jim@printsandprinciples.com) and I will send you a PayPal invoice to make the payment easy.